The Four Diamond Awarded Wild Horse Pass Hotel and Casino is Arizonas premier destination business travel accommodations. Comfortable guest rooms flexible meeting space and amenities galore adjoining 7 restaurants live entertainment nightlife and gaming. Each of our 242 guest rooms are tastefully appointed and styled with sophistication. All rooms include a flat screen TV with media hub in-room safe coffee maker hair dryer iron/ironing board and complimentary high-speed wireless internet. Ideally located at the Wild Horse Pass Destination we offer 36 holes of Troon Golf Rawhide Western Town Aji Spa and Phoenix Premier Outlets. All of this located less than 20 minutes from Sky Harbor Airport. Wild Horse Pass Hotel and Casino has twice been voted Best Casino in the Valley. With over 1000 slot machines more than 70 table games and the exclusive Shutters High Limit Salon Wild Horse Pass Hotel and Casino satisfies your thirst for exciting casino action. Amazing restaurants great live shows and a swanky lounges offer something for everyone. Highlighted by Arizonas only Shulas Steak House the restaurants at this East Valley hot spot include- Ling and Louies Asian Bar and Grill Cafe 24/7 and a food court featuring four delicious options. Ovations LIVE Showroom is the place to be for hot concerts. From comedy to country classic to contemporary our intimate 1400 seat concert venue gives you a special experience with the stars. We offer 12000sqft of flexible meeting space including our 8000sqft Ballroom as well as breakouts offering outdoor space and natural light. In addition our Showroom venue features amazing production possibilities ideal for a general session of up to 1400ppl or a meal for up to 300ppl. We encourage our groups to take advantage of our 4 lounges and nightclub for private group use. 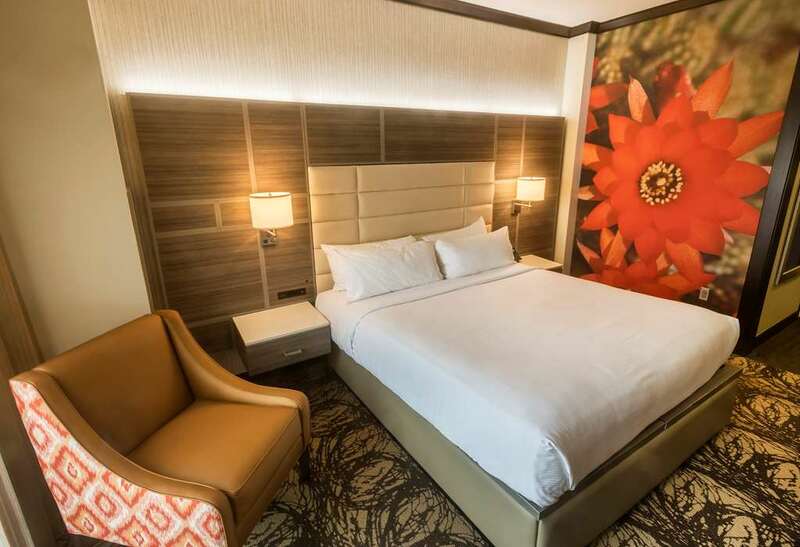 Towering 10 stories above the Gila River Indian Community the Wild Horse Pass Hotel and Casino is a luxurious Phoenix hotel and casino that delivers the finest in upscale service and accommodations for business and leisure travelers. Koli Equestrian CenterRide horseback on ancient tribal land at this unique equestrian experience. Truly an adventure back in time. Koli Equestrian Center offers an array of options for a Western adventure.